Surrounded by wonderful places, Kent is a popular destination not far from the UK’s capital, although you’ll feel a million miles away from the hustle and bustle. Here you will find stunning castles, stately homes and the accompanying gardens you would expect from such an historical place. This location is a real treasure chest of natural beauty and history. Kent offers an array of activities to suit all ages and persuasions. From unique, modern art galleries to centuries-old heritage sites; there is no shortage of amenities for a romantic break and no restrictions to a fun-filled family holiday. One of our well-appointed holiday cottages is just the perfect retreat from which to explore all that Kent has to offer. From two ends of the spectrum, you can enjoy a lazy luxury spa break one minute to exhilarating cliff-top hikes the next. You'll never be stuck for things to do in Kent. With its excellent transport links to London and the channel, many pass through Kent without stopping to appreciate the scenery. Those who do stop know there are many reasons to slow down and explore. From the host of free attractions in Kent, we recommend you take a trip to Rochester Cathedral, the Biddenden Vineyards or one of the many free museums and art galleries. 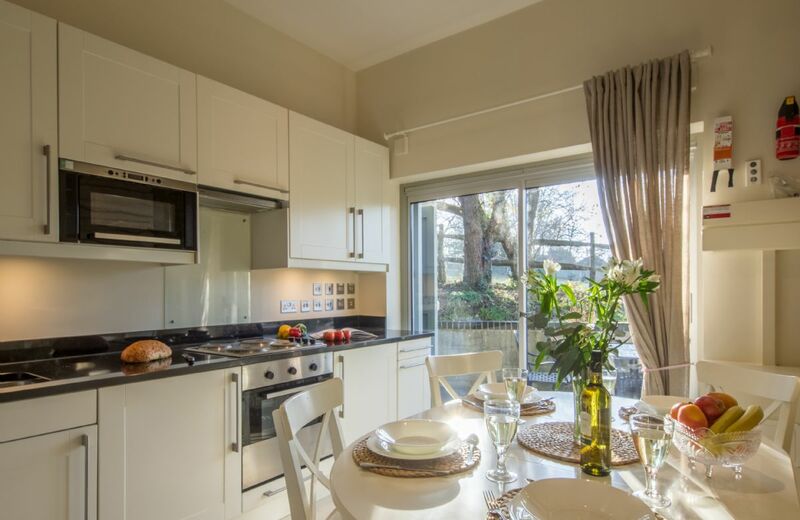 One of our well-appointed holiday cottages makes for the perfect hub whether you are travelling with friends, family or both. There’s plenty to do on a rainy day too. Love shopping? Try McArthurGlens Ashford designer outlet with stunning architecture and designer brands to boot. In addition, there is also the enormous 330-shop Bluewater shopping complex. If you are looking for a bit of entertainment, Quarterhouse is an award winning performance arts venue in the heart of Folkestone's Creative Quarter. You’ll also be pleased to know there are a number of interesting museums, as well as Chiddingstone Castle. Whatever you decide to do, you’re sure to find your stay an incredibly enjoyable one. 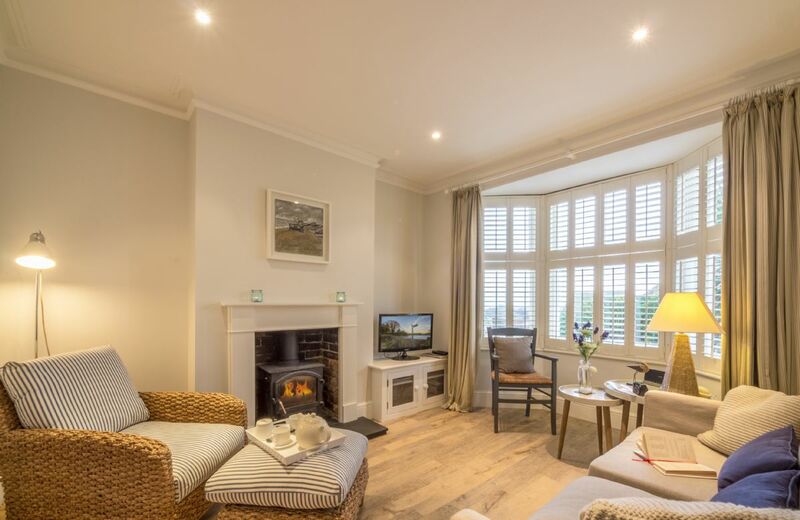 Now you can choose a relaxing holiday cottage in Kent to act as your home for the stay and to relax in after a busy day out seeing the sights! 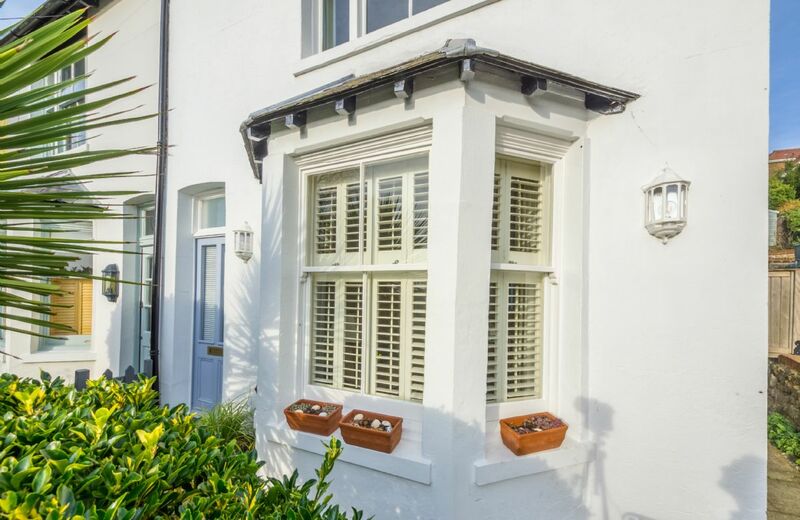 Sea Holly is a charming period cottage nestled into Hythe's picturesque hillside within the conservation area, with lovely views over the town and to the sea beyond. Hythe’s many attractions are a short stroll away and it is a pleasant 12 minute walk to the beach. Thank you for your feedback. I am sad that you feel the cottage is looking tired as other reviews speak highly about the property. I will, of course pass on your comments to the owner. The Coach House is a beautiful, tranquil, magical place. Perfect for relaxing. The garden is fantastic. Anne is a wonderful hostess. She thinks of everything. I look forward to going back! Thank you so much for your lovely review for The Coach House. I am delighted that you had a splendid time there. We spent a lovely week at the Coach House in Kent, the house and gardens were beautiful and it was so peaceful and relaxing. My daughter loved the rabbits and ducks. There was so much to do nearby and we visited loads of really lovely places, Penhurst Place & Hever castle were great days out! We will definitely be back. Idyllic cottage in tranquil surroundings but close to NT properties,shops, motor ways and train station. Anne, the owner was there if we needed anything but not intrusive. Would definitely stay again. Lovely cottage! Ideal for our family of four (parents with 10&8yo kids). Warm welcome, with kindnesses extended to providing a Christmas tree, decorations & lights - with the foresight to leave them for the kids to put on the tree :) Well heated for a cosy experience during the Christmas chill. Woke up to snow on the fields outside our windows one morning. Excellent provisions basket, with a choice of wine prior to arrival. Perfect base for visiting family & friends in Kent. Our new go-to location. What a great review for The Coach House. Thank you so much. I am delighted that you had such a lovely Christmas in Kent. It's the most fabulous place to stay. Set in wonderful surroundings. Near to National Trust properties. 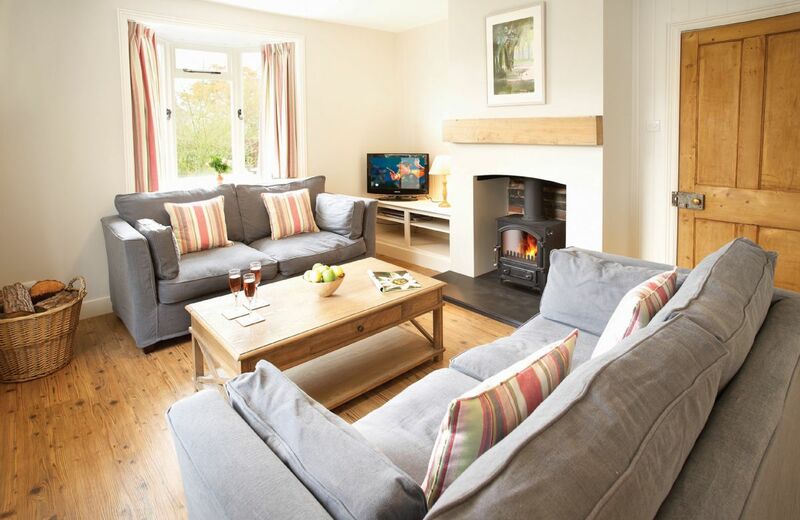 The Coach House has every thing you could want in a holiday and the owner is really friendly. For all of the reasons that I described above. We loved the Coach House. A great property in a beautiful tranquil setting. Really well equipped and comfortable, especially the beds! Little touches of luxury and thoughtfulness from the owner who was very helpful and welcoming. We really hope to stay again. Very attractive and well equipped, in a lovely setting. Very warm and cosy even during cold frosty winter weather. Very comfortable house, perfect setting, very helpful owner on property. Would have been excellent rating except for fact that bed was horribly uncomfortable--not up to the standards usually found in a Rural Retreats property. Otherwise stay was quite pleasant. Thank you for your feedback. The owner has asked all subsequent guests if they found the beds comfortable, and every one has responded with finding them extremely comfortable. Had they not, the near new mattresses would have been replaced. My husband and I were looking for a cottage close to London for our recent vacation. We chose the Coach House in Sevenoaks. This allowed us to easily take the train into London, but also visit local sights; taking in the country charm. Sevenoaks is a wonderful town and has anything you could want; great restaurants, shops, even a natural chemist. The Coach House is a sweet cottage, nestled on a small country road, with a scenic pond and a finely manicured lawn. Flowers were abundant. The owner, Ann, makes sure her guests are happy and has a delicious welcome hamper (basket) ready for your arrival. This is so helpful when weary travelers are hungry and is handy for breakfasts. Its open and airy, was recently redone and has everything you need. I appreciated the fresh crisp bed linens, fluffy oversized towels, and high end soaps and toiletries. It just so happened that our rental car had broken down on the next day after arrival, and we did not bring a cell phone with us (from the US). Ann was right there to help us and went out of her way to make sure that AA Auto Club came out to service our car. She went above and beyond for us, knowing that we wanted to begin our journey. I don’t know how we would have gotten help without her assistance, and we are forever grateful for her! The bedrooms are cozy and quiet, just as you would hope for. The kitchen is fully appointed, and there’s a great flat screen TV for your evening wind down. Just a few steps away, down the street, there’s a lovely walking path, were you will see abundant and fragrant lavender in bloom (in the summer months), with miles and miles of breathtaking views! How perfectly scenic! We loved our visit at the Coach House, and are planning on going back next May, if not before! Ann is the nicest, sweetest, and most caring and helpful Innkeeper we have ever met! Thank you so much for everything!! We miss Ann and The Coach House already!! 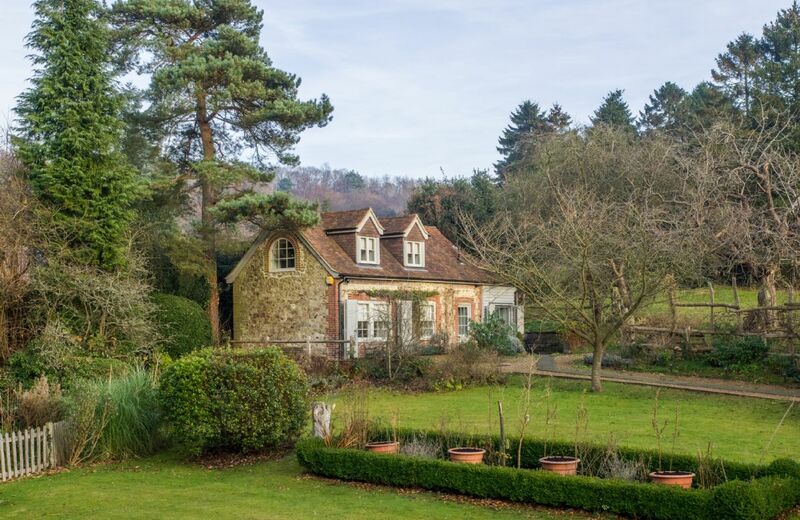 This recently converted Kent ragstone coach house near Sevenoaks is in a quiet location with views across gardens, paddock, and farmland. The luxurious accommodation is of a very high standard in an uncluttered, contemporary style. Great location. Very clean, well provisioned and secure. Lovely cottage great space around felt very secure.great views from every window very high spec .Great beaches and very near to other interesting towns .We had a great time and we’re lucky with the weather. Would love to return . 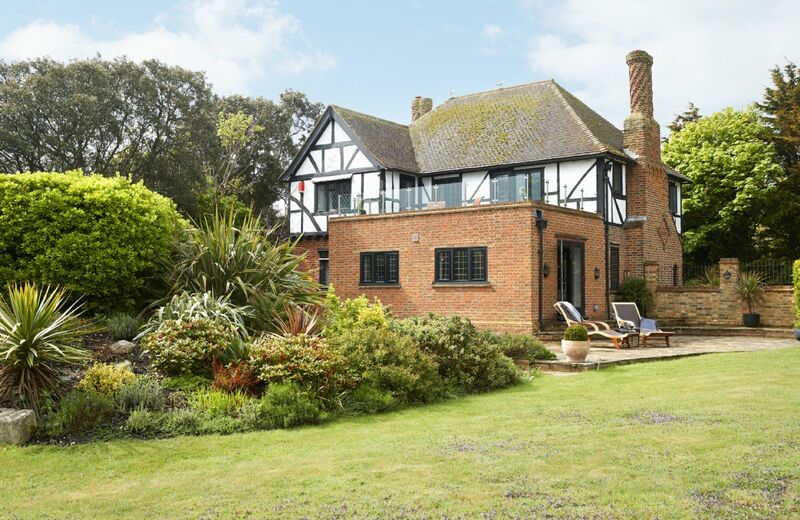 Well presented cottage with views over the entrance to the Thames Estuary. Welcome hamper, as usual, was excellent. Broadstairs is situated conveniently for visiting Canterbury Cathedral and the various castles to be found at Deal, Walmer and Dover. A lovely short break destination. 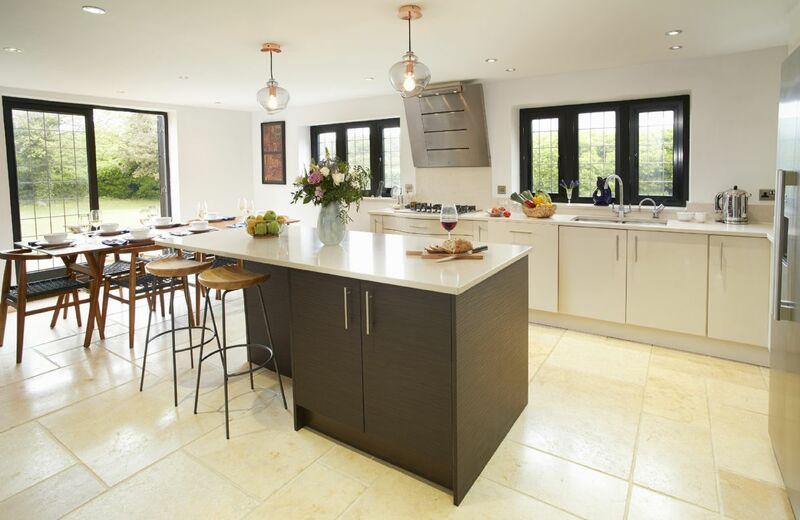 Immaculate cottage with an extensive range of kitchen utensils. There was everything you needed to cook a simple meal through to an elaborate one. The decor was wonderfully simple and yet the cottage had a homely feel to it with some appropriate ornaments. Lovely quiet location with stunning views. It’s ideal placed for walking along the coast to either Ramsgate or Margate because the cottage is only 300 yards from the coast path. There is a near by sandy beach which you can walk to and there is a nice pub only approx 0.75 miles away. The garden furniture was lovely and in warm weather it would be amazing to sit on the lawn and enjoy an evening meal outdoors watching the setting sun. Many thanks to Louise for the care and attention she takes in preparing the cottage and for the amazing Welcome Hamper filled with many tasty items. We can’t wait to return to this cottage. Great location & character; well equipped; spotlessly clean; well thought-through hamper. Beautifully decorated cottage, well equipped and very clean. A really unusual experience, watching the light at night was exciting. A proper luxury break. The cottage was beautifully equipped and comfortable. The welcome basket of goodies was more than we have received elsewhere. Louise as housekeeper was attentive, extremely helpful and responsive. We would have given five stars except for the unreliable and slow internet connection. The cottage was very clean, warm, very comfortable and the welcome hamper was generous. It was good to have Louise on the touchline and she was very helpful and made us feel welcome. The westher was dire, but that was not the fault of Rural Retreats! Our only reservation was thst the dining table was too high for the chsirs. Msybe one of them could be lifted or made lower. The beds were comfortable and the fire in the sitting room was lovely on a freezing evening. We loved stsying there and so msny thanks. The cottage was well-appointed, warm during the daytime, in a good position and very well maintained. The welcome hamper was outstanding - the best we have received with Rural Retreats or any other company. May I register slight concerns about the lock on the perimeter gate? We were alarmed by a knock at the door one morning as the postman told us he'd squeezed through! If other visitors or the refuse collectors leave the lock too loose, this could enable anyone to gain access to the site. The location and cottage were lovely. Furnishings were tired and the lighting in the dining room needs more thought but food and household consumables were more than expected and a pleasant surprise. Thank you for your feedback. I am pleased that you enjoyed the cottage and its location. We will certainly look at the furnishings and a new sofa is definately in the pipeline. Excellent value for money. Will use this company again. The cottage was very nice but the second bed in the children's room was on the floor and different to the pictures of the room on the website. Which was disappointing. Otherwise a great location and very private. Cottage was pristene. Thoughtful welcome basket of festive treats plus a turkey cooking tin and extra foil was perfect for our christmas meal. 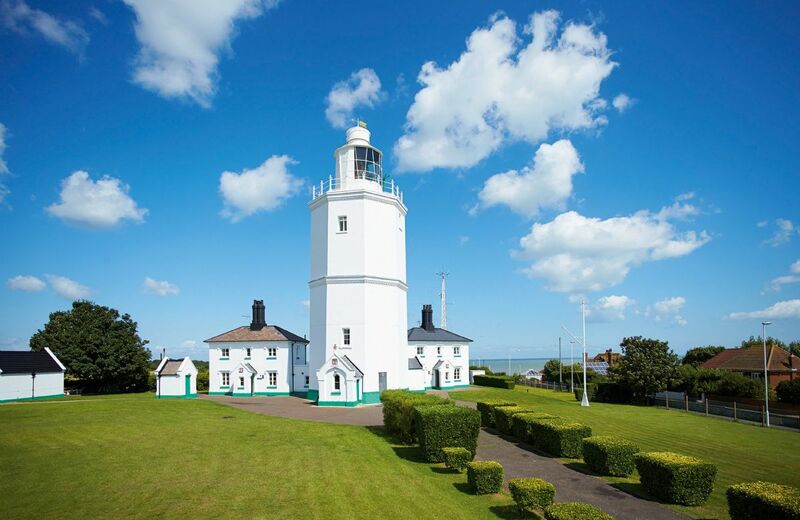 On the North Foreland Lighthouse site above Broadstairs, this delightful cottage features entrance hall, fully fitted kitchen, sitting room, dining room, bathroom, double bedroom and single bedroom with full size bed and comfortable pull-out bed. Superb cottage, excellent location, interesting to watch the lighthouse in the evening. The cottage was beautifully prepared, welcoming and homely. Stunning location. The experience was beyond our expectation. Thank you. Beautiful cottage attached to the North Foreland lighthouse with 2 spacious upstairs bedrooms and lovely grounds adjacent to farmland and near the golf course, with parking for 2 cars. Great location above Joss Bay and a 25 minute walk to Broadstairs town, some of which is along the Eastern Esplanade. The lighthouse is still operational but we were not disturbed by the light nor any noise. There is no foghorn! The housekeeper Anne, prepared a wonderful welcome hamper including a bottle of wine to greet us. The lighthouse is no longer open to visitors anymore as we would have liked to look round again, but this did mean we had no strangers approaching the cottage during the day. We would visit again. The cottage was in a very nice location and had been well prepared by the Housekeeper. The sea views were lovely. Beautiful cottage in a unique location. Wonderful welcome hamper and warm welcome. Excellent unusual cottage, we wished we could stay longer to explore more of the area! Nice, clean cottage in good location. Bathroom needs updating, kitchen layout a bit squeezed. Thank you for taking the time to review Lodesman Cottage. The bathroom and kitchen are due for redecoration in November of this year. I am glad that overall you enjoyed the cottage and found it clean. Clean extremely well appointed up market property with attention to detail including a great welcome hamper. The shower broke and was mended very quickly. The person looking after the property was extremely pleasant and helpful. Thank you for your review. I am sorry that you thought Lodesman Cottage was looking tired - it is scheduled for refurbishment early next year. Thank you for your lovely review and recommendation for Lodesman Cottage. Beautiful location, quiet, excellent scenery and interesting being adjacent to the lighthouse. Well furnished house with everything catered for. Only slight negative is the downstairs bathroom. We are delighted by your comments on all aspects of a holiday at Lodesman. Due to the nature of our lighthouse properties they all have downstairs bathrooms. Beautiful cottage and very helpful caretaker. I will be returning to this beautiful spot on the coast. The housekeeper contacted us beforehand to give detailed instructions and left a lovely hamper and personal note. The cottage was lovely presented, cosy and warm, spotlessly cleaned and just a stunning property in a beautiful location. On the North Foreland Lighthouse site above Broadstairs, this delightful cottage features entrance hall, fully fitted kitchen, sitting room, dining room, bathroom and two double bedrooms. My daughter and grandchildren really enjoyed our stay, the interior was well appointed and the lovely garden was ideal for my 3 year old grandson to run around in. I do think the flower borders could be a little better maintained and the exterior paintwork, especially when the windows were opened, needs some attention. It’s location was ideal for visiting lots of lovely places of interest. Beautifully appointed cottage, located in secluded rural location. Perfect for country walks and relaxation. We could not fault the inside of the cottage apart from the window in the front bedroom which did not open, sashes need replacing, especially as our week was very hot and sunny! Also the French doors in the kitchen would benefit from some blinds for the same reason. The outside of the property could certainly benefit from some tlc - the wooden cladding is looking very sad in places and the front path needs vegetation cut back leading to the front door. Glorious peaceful week in a part of Kent we did not know. Would return. Arrived on a really cold day.Cottage was spotless , warm and welcoming. Will definitely go again, it was so quiet and private, with a lovely outlook over fields. This was a sweet, clean cottage with fantastic attention to practical details but I was totally let down by the after care. After alerting Rural Retreats to the fact that I had left a couple of chargers (laptop and camera) in a drawer in the Master Bedroom, it took two weeks for them to locate them, and now, 18 days since I first informed them, I have still not received my property. They have left me to communicate with the house cleaner directly and I am totally disappointed by their total lack of interest or involvement which is so much less professional than I would have expected. I am pretty sure an airbnb owner would have been far more helpful. 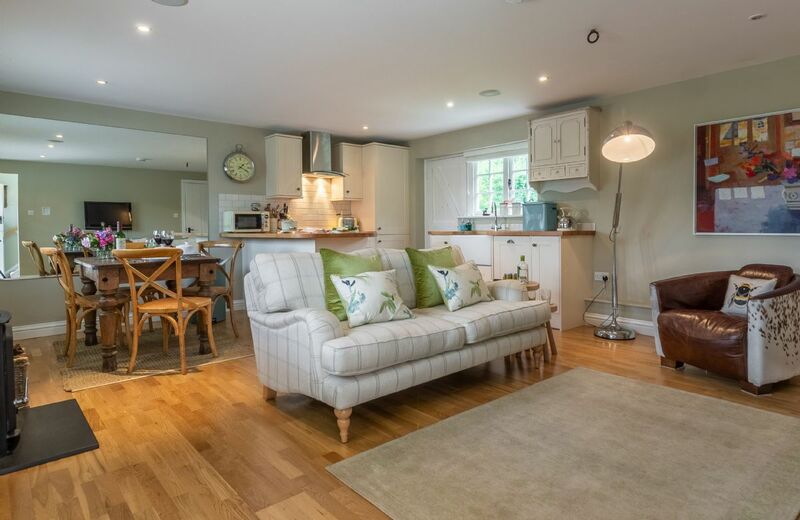 Wonderfully relaxing cottage with terrific outside space, a pub at the end of the lane and a beach a short drive away - what more can a family with a dog ask for! Extremely nice property, and good for us with someone in a wheelchair. Only problem was with the directions, and I rang your office about this, suggesting better ones. beautiful location,excellent internally,tired outside paintwork and garden. Nice cottage with a large garden and lots of space inside. Good walks starting from the garden gate. Nice location near Rye & Tenterden. Thank you for your feedback. I am pleased that you liked the cottage and location and I will pass your comments on to the owner. Lovely, peaceful cottage in great location for days out. We stayed here with our two children for five nights in June. The cottage's driveway was a little difficult to locate at first but we found it on the second pass. The cottage itself looked deceptively small. On entering we were pleased to find ourselves with a lot of space including a good sized kitchen, dining and living areas, and bedrooms. The cottage was beautifully decorated and clean, with everything we needed for our stay including a welcome hamper of food. We would happily recommend Tufton Croft to family and friends. Thank you for your lovely comprehensive review. We are delighted that you enjoyed your break at Tufton Croft. We really enjoyed our stay at Tufton Croft. It was a very attractive, and peaceful cottage, spacious and well-equipped. The location was excellent with all sorts of beautiful places of interest to visit in the surrounding area. Many thanks to the housekeeper for being so helpful and making us welcome. Did not represent value for money for this time of year. Much to expensive. Quality marginal for Rural Retreats standards. Thank you for making a review at your stay in Tufton Croft. I am sorry that you thought the cottage did not represent value for money. As of yet we have had no comments off this sort but I have been in touch with the owner and had a conversation. There are a lot of glowing reports on the website for Tufton Croft but we will keep our eyes peeled for more comments and act on them if possible. We hope to welcome you back to a Rural Retreat property very soon. Spotlessly clean and well appointed. A lovely environment. A few more pieces of basic equipment in the kitchen would have been useful - e.g. a cheese grater, some wooden spoons, additional crockery. Previous reviews have consistently mentioned this. 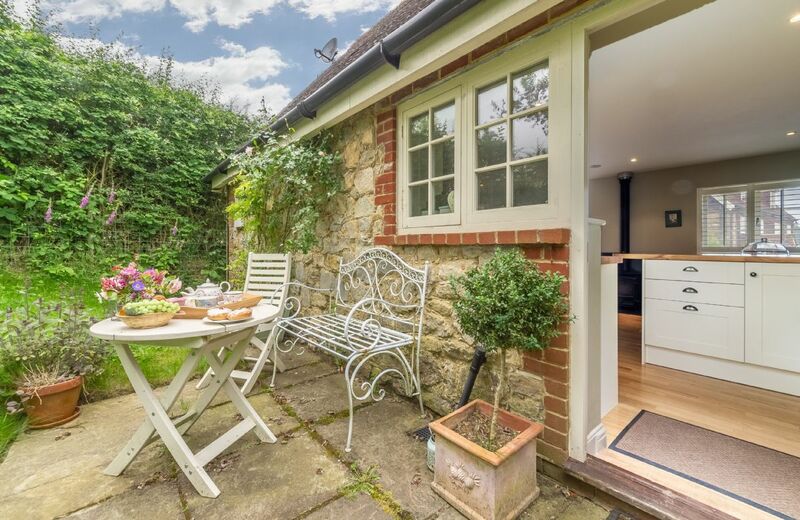 This is a charming detached weather-boarded cottage, set in a secluded location on the edge of the village of Wittersham. It is surrounded by enclosed lawned gardens with plenty of space with excellent views of fields and woodland.